A seller’s net sheet estimates how much money you’ll get from the sale of your home. 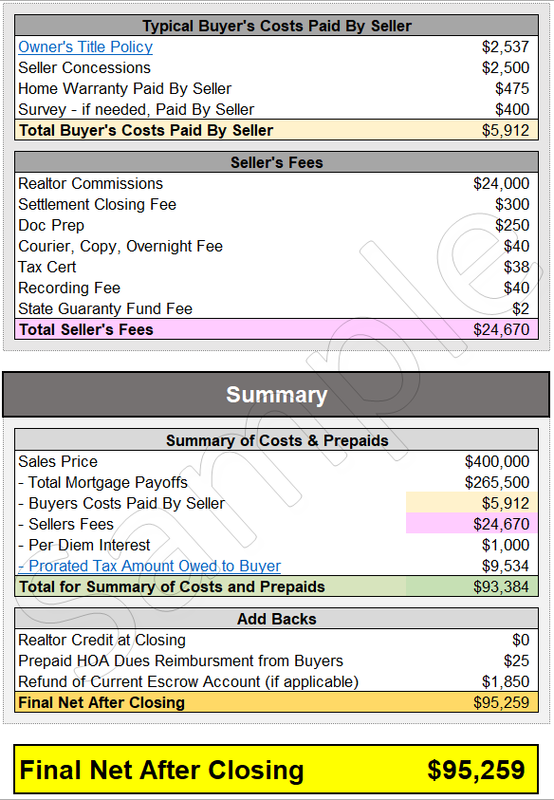 We created a fancy Excel spreadsheet that estimates a seller’s closing costs. Learn about the selling process and how to avoid pitfalls and maximize your profit. Provide your information via the pop-up window (or the form in the middle of this article) and we will email you the worksheet. A seller’s net sheet is typically provided by a Realtor or a title company but we’re beating them to the punch. The seller’s closing cost used are estimates for homes sold in Texas. We prefilled some costs with estimates. Cells left blank are values that you provide about your current home loan. We put zeros in cells that aren’t common costs in a seller’s net sheet. You can edit cells in blue and the worksheet does the rest. There are links in the worksheet that help explain the seller’s closing costs. and a state guarantee fee for a whopping $2. The total estimate for the seller’s closing costs is $670(ish). 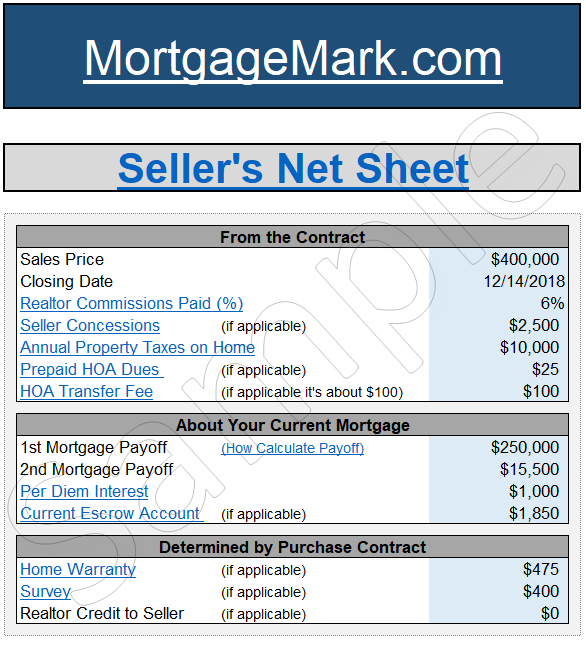 These seller’s closing costs are used in our seller’s net sheet calculator. Title Policy: we are assuming that your contract will have you, the seller, paying for the buyer’s title policy as this is very common for existing homes. New construction, however, varies from builder to builder. Survey: for worst case purposes, we will assume that you don’t have a survey that the buyer can and you will incur the costs for a new survey. If you do have an existing, accurate survey then this cost can be reduced to zero. See why a mortgage lender won’t use your survey and how to write a lender-friendly contract. Home Warranty: we will assume that a home warranty will be paid for by the seller as this is fairly common. This costs can vary so feel free to update that amount in the calculator if you know it. Amount Held In Current Escrow Account: If you don’t have an escrow account then leave that section blank. If you do have an escrow account with your current mortgage then you’re entitled to an escrow refund. After closing the mortgage service will send you a refund (at your new address) for any unused funds that remain in your escrow account. This typically won’t arrive until 30-60 days after your closing. The most confusing part about the seller net sheet are the HOA dues and per diem interest. Good news, these aren’t life-changing amounts. Prepaid HOA Dues (rows 14 and 15): if you’re not sure about this then leave it blank as it’s typically not much money. The buyer will reimburse you for any prepaid HOA dues. Per Diem Interest (row 20): mortgage payments are paid in arrears. This means the payments are due after the interest is accrued. In other words, when you make a normal mortgage payment, you’re paying for the previous month’s interest. Therefore, to determine your mortgage payoff you’ll need to add an estimated amount for per diem interest that will be added. The easy way, just add your monthly payment to this section. Below is a screenshot of the seller’s net sheet that’s available in Excel. Submit your information and we’ll email you the form. The seller’s net sheet includes a final net after closing amount. The day of closing and funding you’ll get money from the title company. What may not be included is a refund of your current escrow account (if you have one). Your current mortgage servicer will dictate when that refund is issued. It’s possible that the mortgage servicer may net the escrow amount from the mortgage payoff. In other words, they may reduce the amount you owe them by the amount held in your escrow account. The alternative is that they don’t net the escrows from your payoff. In this case they will mail you a check after closing for the amount held in your escrow account. This is typically done within 30 days. 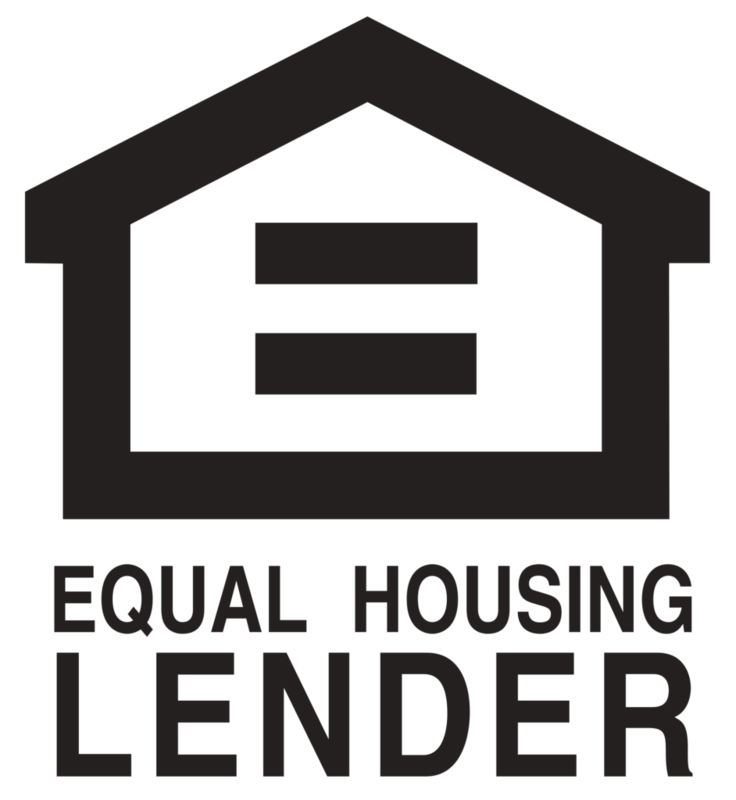 Mark and the team can walk you through the entire home loan process and mortgage loan process. Call us with any questions and let us know how we can help.